Many thousands of boats and ships have keeled over and been lost in Alaskan waters. Along with those were thousands of crew members and passengers who lost their lives with little or no warning. A good percentage of the tragedies have no known evidence to be reviewed to prevent the same disaster from striking again. Alaska hides her violent past within a rugged marine wilderness and treacherous weather environment. In addition to the lives lost, there are tens of thousands of lives that have been changed by the psychological insult that an Alaskan Shipwreck provides. By my estimates there are between five and ten thousand living Survivors of Alaskan Shipwrecks. If you are one of those shipwreck survivors, your story needs to be told. You may unknowingly hold the key to preventing another loss of life. You may remember an odd or bizarre thing that happened during the wreck that may be very important. It is within the realm of possibility that the documented explanations of many shipwrecks are slightly short of the mark when it comes to explaining the exact circumstances that led to disasters being reported. 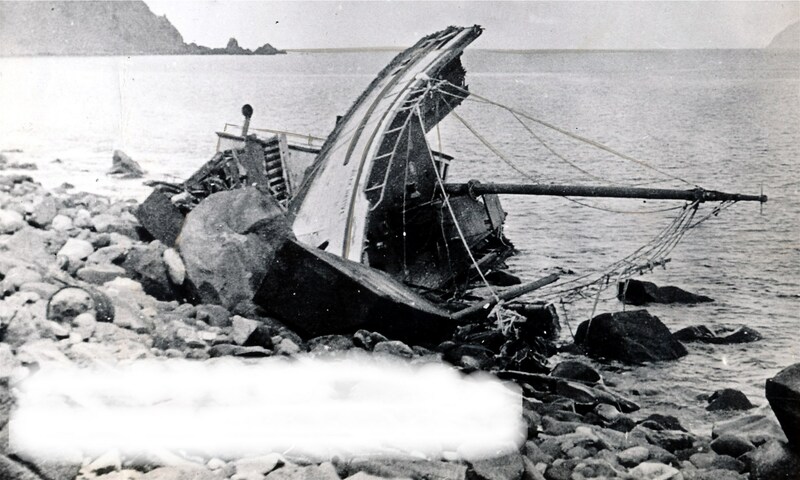 Government agencies shouldered with the responsibility of documenting maritime disaster often use expressions like “operator error”, “unstable due to overloading” or “captain was disoriented” to explain a loss. They are catch-all phrases commonly used when something unexplained happens and often no survivors are there to tell the story. “Unexplained” is not an acceptable answer on agency forms that must be filled out for a shipwreck report. If you saw, experienced or were told about a shipwreck, I would like to hear from you. You may have explanations or a piece of the puzzle that you may not be aware of. No matter how minuscule the observation or ridiculous the information, I would like to have the chance to compare your story to other stories I have heard or seen. It could be very important. Nothing sent in will be posted without your consent. I was aboard the F/V Skagit Eagle Feb 8, 1991. Later I worked aboard the Francess Lee but left just before she sank.